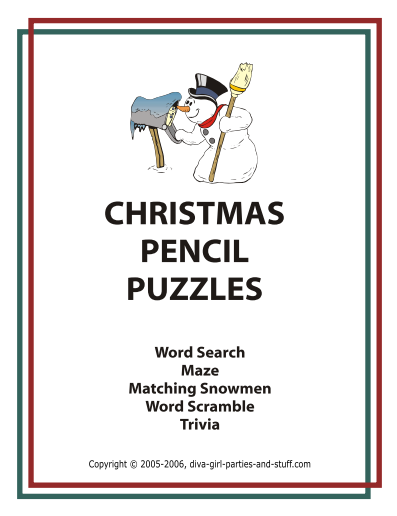 Complete the Christmas internet hunt below to receive your free Christmas Pencil Puzzles Ebook. To play this Christmas internet scavenger hunt, visit 10 websites and look for the answers to 10 questions. Please Note: You will need Adobe Reader installed on your computer to view the printable Christmas Pencil Puzzle Ebook, (the latest version is recommended). You can get your free Adobe Reader here (a new window will open so you can download without leaving this page).